JostleTV is an optional feature that allows you to stream your intranet on any number of connected display devices. 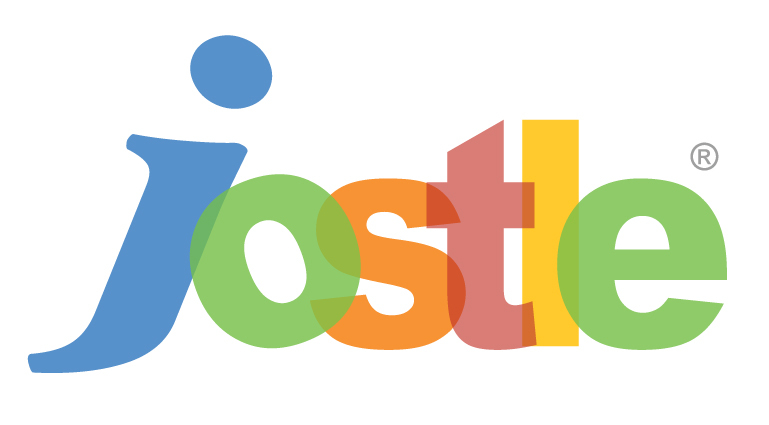 If you're interested in adding JostleTV to your intranet package, please contact Support or your Customer Success Manager. Once JostleTV is enabled on your intranet, you will see the TV icon at the top of your intranet's Main Navigation. You can then begin the setup. A widescreen TV (16:9 aspect ratio is ideal) used as a monitor to a PC or Mac. A Smart TV with browser capabilities. Once you navigate to a new view or refresh your screen, you should see a TV icon appear at the top of the Main Navigation, confirming that JostleTV is enabled. At the bottom of the Main Navigation, click the action menu icon (three dots) next to Admin Settings. Choose a Contributor with the view permissions you want to associate with the Program (see more below). When you’ve completed the rest of the form, click Save at the top of the screen. Selecting Watch TV (or just the TV icon for non-System Admins) runs the desktop version of JostleTV, which is not configurable via TV settings > Add a Program. TV settings are for the management of the JostleTV Programs that run on linked display devices, not the desktop version. The desktop version automatically runs "Long" with all Activity items included. When you target a Contributor to a Program, it maps the Program's settings to that Contributor's Profile. To run a new Program on a display device, it’s targeted Contributor must sign into their account on the device in question (unless you're linking devices). Then, when JostleTV is enabled on that device, it will use the settings for the Program associated with that Contributor. You create a JostleTV Program that runs a short-length program that only includes Updates from Activity. You name this instance “Quick Program” and add Employee X as it’s Associated Contributor. Employee X signs into his intranet account on the display device set up in your organization’s break room and enables JostleTV. The “Quick Program” settings are automatically detected and the break room display begins running the short-length/Updates-only JostleTV instance. TIP: For better management control, it is recommended that you use a dedicated View Only Contributor account as the targeted Contributor rather than assign the role to an existing Contributor’s account. NOTE—if you're creating a brand new Contributor account specifically to be the targeted Contributor, create it as an Internal Contributor account first, and then switch it over to a View Only Contributor (via Administration settings > Contributor configuration > Edit/delete contributors) after it has been activated. Check that you have an available HDMI port on your PC/Mac and one on your TV (they look similar to USB ports, but wider and with notched ends). Get an HDMI cable and use it to connect the ports on your PC/Mac and TV. Using your TV’s remote control, set the TV to the input you’ve connected (usually it will say something like “HDMI 1”). Mac: Your Mac screen should appear on your TV after a few moments. PC: Press the Windows button + P to open the Projector menu and select your display option (“Duplicate” will show the PC display on your PC and your TV, “Show only on 2” will only show the PC display on your TV). If you wish, adjust the Display and Sound settings in your Windows Settings/Apple System Preferences. Open a browser window on your connected PC/Mac and login as the targeted Contributor for the appropriate instance you wish to run. Click the JostleTV icon at the top of the Main Navigation to start running JostleTV on that device (for System Admins, click the icon and then select "Watch TV"). See Linking devices/PINs directly below. After you create your Programs you can run them on specific devices by linking them via a PIN code. This method also enables you to display the same Program on multiple devices (in these cases, you will still have to link the devices individually, so the Program will not be playing in sync across all of them, but the content being displayed will be the same). NOTE—this method does not apply if you're running JostleTV on its native device (i.e. directly from a logged-in intranet displayed on a monitor). In this case, just follow steps 7-8 of the previous directions above. Connect your Smart TV to the internet, either directly through your router with an ethernet cable or by setting up your TV’s wireless connection (usually found in its Network Settings menu). Click on "Link a device..."
On the popup screen enter the code in the field provided. Click "Link" and the Program will now run on the linked device, showing content based on the Contributor account targeted to that Program (NOTE—there may be up to a 15-second delay before the Program begins). *The built-in browsers of some Smart TVs may cause performance issues. If your Smart TV supports the installation of other browsers, JostleTV runs best on Chrome, Firefox, and Safari. TIP: If you are considering an Android TV box, it is recommended that you use the Mi Box. Avoid using a knock-off/imitation Android TV box, as they will cause performance issues with JostleTV. Once installed, open the app. NOTE—if you do not see the screen with the numeric code after opening the JostleTV app, try uninstalling and reinstalling the app. Go to Build and click on it multiple times, until you see "You are now a developer"
The items that are shown in your Program will always be the highest-ranked items in the content target you selected for your Program. Once an item gets published, its cycle for appearing in JostleTV should generally last for about a week. However, if an item has received a high number of likes or comments, its popularity could extend the time of its cycle. NOTE—if you don’t have enough current content, the system may pull some popular older items to cycle into the Program to avoid repeating the same current pieces over and over. The program length options are generally used to set how much time elapses before an item is shown on your JostleTV again. They’re not used to create a set cycle of items for your program (the distribution of qualifying content is ultimately random), but rather to ensure that your items don’t get shown repeatedly within a set time frame. As well, the length only indirectly affects the number of items you’ll see, as longer programs will spend more time displaying each item than shorter programs. A Short program may show 2 Article comments and 2 photos from the Album. A Long program may show 5 Article comments and 5 photos from the Album. With that knowledge, you can determine which program length would be suitable for the area(s) where you have a display running JostleTV. Short programs would work well in high traffic areas, like hallways. Medium programs would be appropriate for front desk/lobby areas. Long programs would work best in lunch or break rooms. If you regularly publish enough content you should never see the exact same thing on JostleTV cycle after cycle after cycle. But, as mentioned above, even if your fresh content does begin to dwindle, older items may be brought in to your cycles to keep them from getting too repetitive. 2. Open your browser on your Smart TV and enter the second attached link. If you would like to set up JostleTV beta using a PC/TV set up or Smart TV, please let your Customer Success Manager know and they will be able to send you the necessary links.